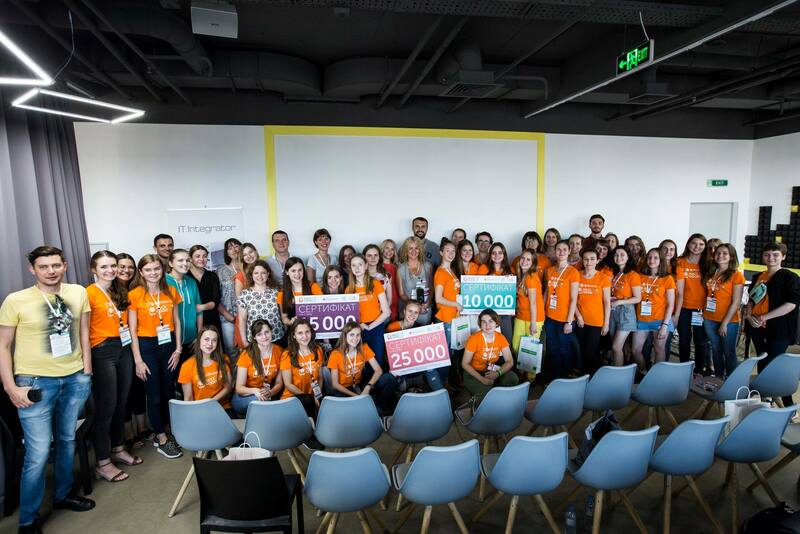 July 28-29, 2018, Kyiv - Corporate Social Responsibility Development Center, in partnership with UNFPA, the UN Population Fund, held the hackathon Hack4good 2.0: How to engage girls to technical specialties from the early age? The partners of the event were the Institute for the Modernization of Educational Content, 1991 Civic Tech Center, IT-Integrator company, SAP, Outsourcing team and Ugears. Only 12 out of 100 female applicants to universities opt for a technical faculty, but only 3 of them continue to work in the STEM area upon graduation. One of the reasons for this situation is that a stereotypical vision of "male" and "female" jobs and social roles is being imposed on girls since childhood. Experts from around the world create technologies, startups, or new programs that can help overcome such gender gap in the professions. • Design workshop by Ilya Semenov from PDFiller. The girls, inspired and equipped with new knowledge, continued their work in teams, and at the end of the day six projects on attracting girls to technical specialties since early school years were presented. 1. "ART ENGINEER GIRLS". The key idea is to create a comic book telling about STEM in an accessible and interesting form. The comic will be targeted at girls 11-13 years old. The plot of the comic will tell young readers about the adventures of four girls who will show how to be a STEM girl based on their own example. 2. No. 42. The idea presented by girls is "Sticksters" – augmented reality (AR) cards. The idea is targeted to an average girl, a secondary school pupil. Stickers will be animated using the mobile application that girls are planning to release both for Android and iOS. The hamster is the main character of the stickers and the app. When one runs the app and focuses the phone camera on the sticker, a link related the subject of the sticker will appear on the video. 3. The team "Interview with a psychologically unbalanced web-welder" came up with the idea to hold the STEM festival in Chernihiv. The purpose of the festival is to show the range of STEM areas for girls in schools, while students of technological universities will present the STEM specialties. The objectives of the festival are to allow every girl to work in a team, create something interesting and feel like a true scientist. Moreover, the winner team will have the opportunity to work in the 1991 Civic Tech Center - the Center for the Development of Civic Tech projects in Central and Eastern Europe and to attend free events that take place in the facility. The CodeKid team, which proposed to create a STEM camp for girls, was awarded with the same certificate to visit and work in the 1991 Civic Tech Center during the month for their active engagement. The winners will sign a memorandum on further work on the implementation of ideas. The organizers announced two more hackathons in the regions of Ukraine by the end of 2018.